Brendan Rodgers claimed Celtic's 2-1 Europa League win over RB Leipzig was his best European victory at Celtic Park since becoming boss. The Scottish champions realistically needed to win to keep qualification hopes alive and Odsonne Edouard's late goal secured the victory to put Celtic level with RB Leipzig on six points, although the Germans have a better goal difference and head-to-head record. 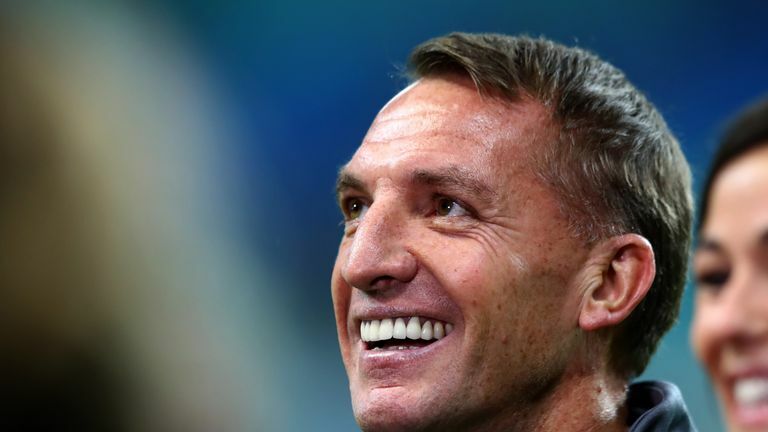 Asked if it had been the best Celtic Park win since he took over in 2016, Rodgers said: "I couldn't argue against that if you look at the level of the opponent and our performance against that. "People see pressure as negative, I said that the other day. This was a pressure game that we needed to win but you seen the positivity in the team. What I was pleased with was the performance against a very good side - we played with no fear. "We brought our aggression and identity to the game. We've seen the team returning to that in the last seven or eight games and it's nice to see we can do it not just domestically but against one of the best teams in Europe. It was a fantastic victory and one I am very proud of." He said: "If you have never been to Celtic Park before it is one of the most intimidating arenas in European football. "Some of the best teams in the world have come here over the years and have suffered. The emotion in the stadium really helps us as a team and the supporters are very proud of their players. "Tonight was a very emotional game, our players fed off that and the supporters helped us to the victory."